Do you know lead nurturing is one of the most important and at the same time the most overlooked component of digital marketing? How many companies have you heard that does not generate leads? Zero? Or maybe one or two. But the main concern is: how many of them are able to convert those leads to final buyers? Very few, right? 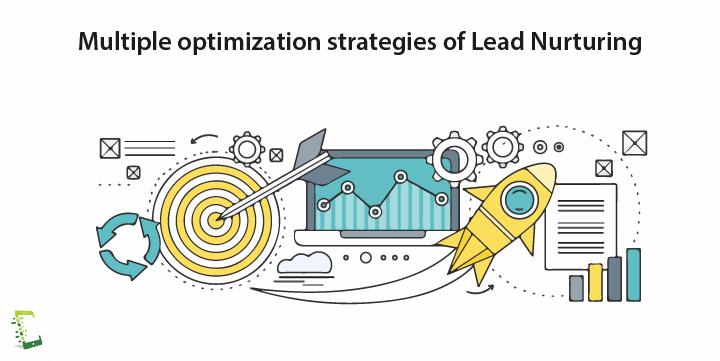 In this article, we are going to walk you through the multiple optimization strategies of nurturing leads that will surely help you in developing your business significantly. Before we discuss; how to optimize lead nurturing in digital sales? Aren’t you wondering “What is Lead Nurturing”? So, let us first discuss “What is Lead Nurturing?” before we go in depth of this article. Lead nurturing is the process of forming relationships with potential prospects who are not ready for instant purchase. But, they have the potential to become one of the final buyers in near future. The plan is to make the prospects aware of the products and services you have, tell them how your product and services can improve their business so that when in future the prospect feel like buying such products or services, the first door they knock should be yours. It is a kind of mutual benefit, both, you and your customers, need to benefit from this alliance. Convincing the big prospects who can drastically improve your business takes time, you need to assure them that all of their problems and concern will be effectively solved by your product. You need to tell them some great success stories with similar big clients. You need to overshadow the risk factor in their mind by giving a guarantee. As we know Lead Nurturing now, it is the time to discuss the benefits of Lead Nurturing. When you are nurturing already existing leads, you do not need to invest much in the marketing field for generating new leads; regular follow-ups to the existing leads and you are good to go. If you are able to convert a Lead into a buyer after great efforts, you will be able to hold them for life. If convinced well, a converted Lead will bring many other prospects. Lead nurturing is like planting a story in Lead’s mind that will turn them into a storyteller who will speak about your product and services. In a word, they will act as your brand advocate. You will get an opportunity to learn more and more about your prospects, by using what you learned from them either you will perform few changes in your product or you will stop trying to convert impossible Leads. Let us move on to the crux of our article and discuss the main concern of this article i.e optimization strategies of Lead Nurturing. In the current days, people have become smart enough, they know that they will have to gain knowledge about any product or any service themselves before making a buying decision. Content marketing act as an interface between you and your prospects. It helps you indirectly by educating your prospects about your products and the services you offer. To nurture leads using targeted content is one of the best practice for enhancing the final results. It sounds easy but actually, it is not. Making the right content available, to the right prospects, at the right time is not a child’s play. In simple words, content marketing involves the creation of very engrossing content related to your product for your target prospects. Content could be videos, articles, blog posts, ebooks, infographics, webinars, etc. This will allow prospects to easily engage with your products and services without any extra effort. Content is not the same throughout, different and suitable content is needed for different stages, depending on the position of your prospect in the sales funnel. Social media in combination with any form of content forms a very powerful Lead nurturing tool. As we all know almost every different social media platform holds a different kind of content as well as different kinds of prospects. This means the same content will not work on all social media platform, and it also highlights a need for content creation and deployment, that has to be done as per the target audience and the platform. There is always a need to customize your marketing messages other than those generic static email messages, which you use for almost every prospect. Good for one may not be good for all. To overcome these static boring messages you can use dynamic CTAs also known as Smart CTAs. A CTA (call to action) can be a button, an image or just a hyperlink that encourages site visitors to do something; go to a particular page, fill out a contact form, purchase a product, make a phone call, take a survey, hit on a vote button etc. CTAs are largely being used for navigating people to a page where they can be converted into a buyer. The CTAs are kept simple and at the same time catchy enough to fire the conversation or to get them involved with at least one of your messages such as survey, live chat support, demo product invitations, free trials etc. Are you someone who roll out the same email or the same content to all your prospects? If yes, then probably you are doing one of the biggest mistakes. A good approach is to arrange leads into multiple groups according to their position in the sales funnel and then frame the best content for each group accordingly. By classifying the leads based on common traits, we will get an opportunity to know more and more about them and finally, we can draft more compelling content for them. A quick follow-up is always better than being late. Otherwise, there are probable chances that your prospects or subscribers may forget why they were interested in your product or service in the very first place. In the worst cases, they have already found and chosen another service provider(Basically your competitor) who approached them on time. It is a known fact that if you follow up with a lead within 2–5 minutes of the subscription, you are in the best position to convert them. Moreover, regular and timely follow-ups are crucial for keeping your subscribers engaged. Follow-ups are one of the best-nurturing technique being broadly used. There is no limit to how many times you should, or you can contact a lead. However, it is always better to be 4–5 follow-ups ahead than the average number of follow-ups your competitors are doing. By practising this you will still have the opportunity to convert them when most of your competitors have already left. 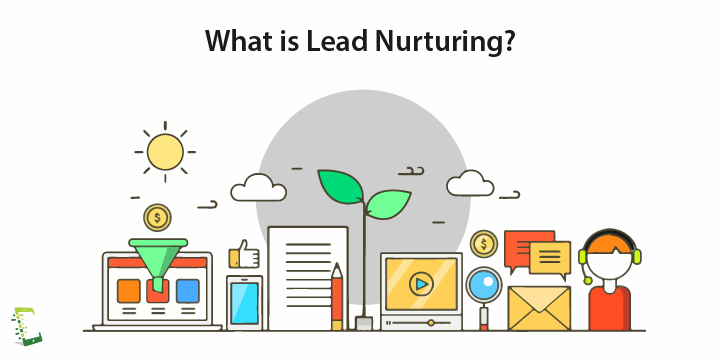 In this article, we discussed, What is Lead Nurturing? 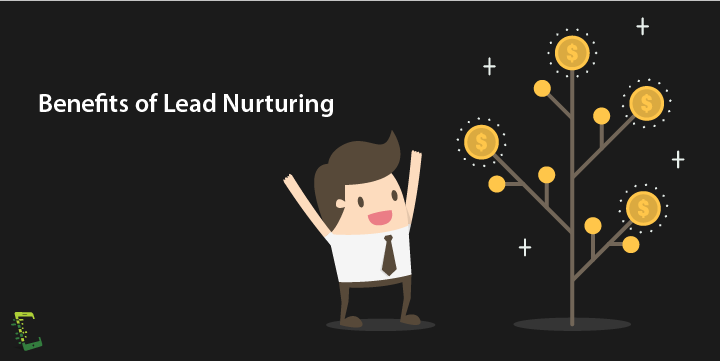 Why Lead Nurturing is important for any business? And finally, we walked you through the optimization strategies of Lead Nurturing in digital sales. By the end of this article, you know that a good conversion rate can effectively advance your business and to achieve a good conversion rate you need to keep nurturing your potential leads by making use of the Lead nurturing strategies we discussed in this article. Never confuse Lead nurturing as a one time process as the strategies are going to be evolved with time. There is a need to go hand in hand with the new technologies to grow your business. In the end, you know, it is all about establishing relationships with the prospects which will effortlessly convince them that you are the best key to unlock their development lock. Stay connected with us, we will keep updating this article with the best upcoming optimization strategies for Lead Nurturing.